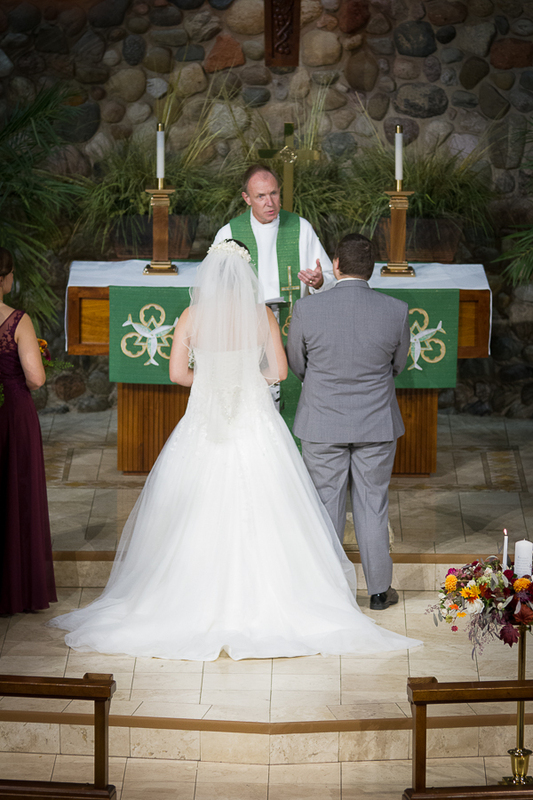 Lauren and Aaron were married at St. Paul’s church in Muskego on October 13, 2018. 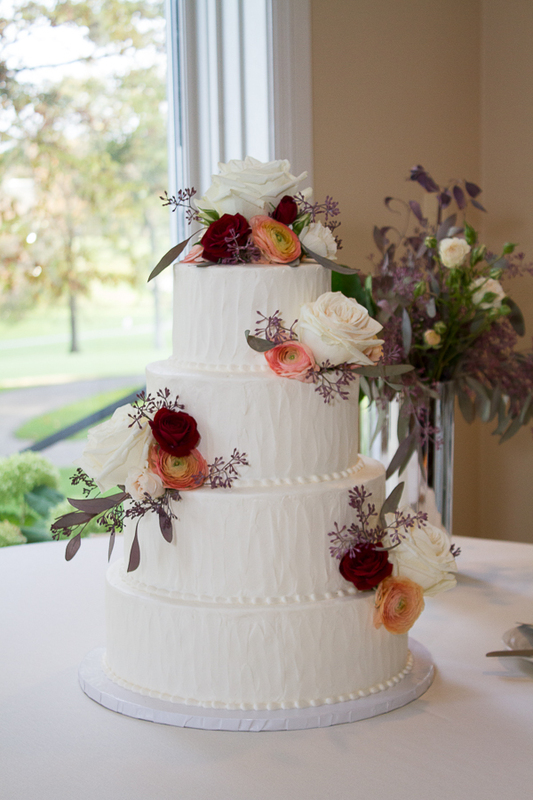 Their reception was held at the New Berlin Hills Country Club. I have shot at that country club in the past and love how the pictures turn out there. 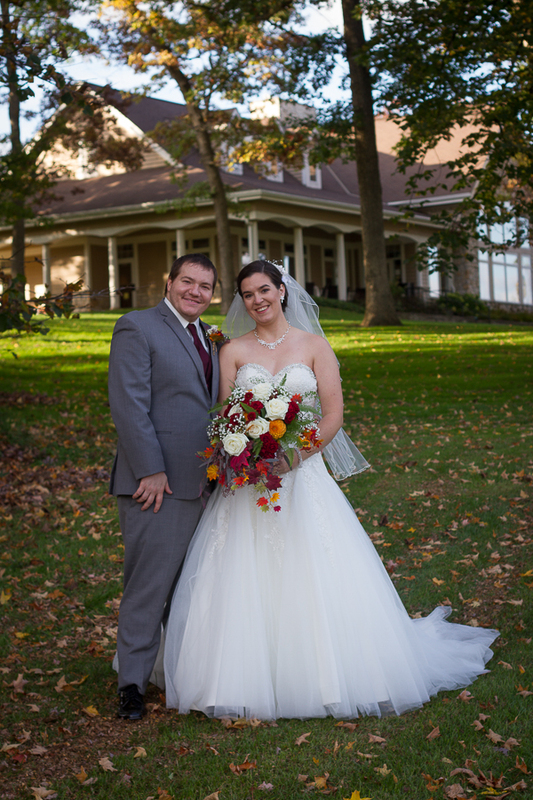 Even though we had to stay off the green, we were able to find a great location for some wonderful photos. 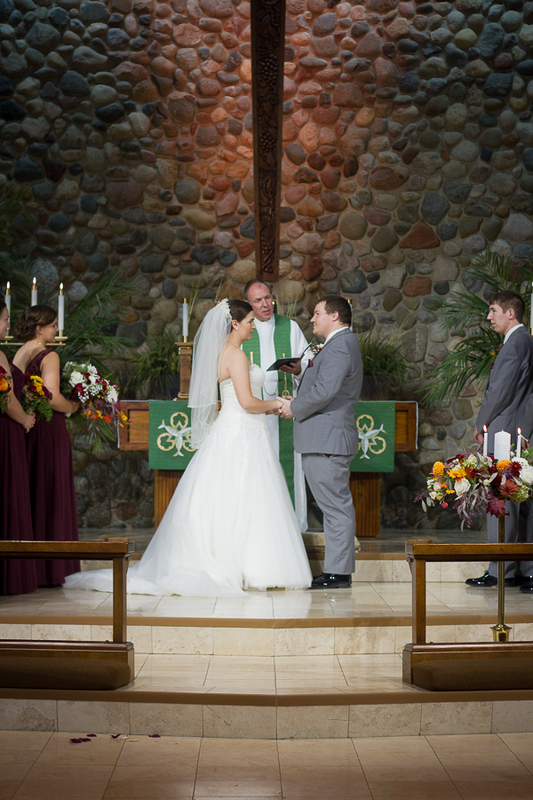 I normally don’t say that the ceremony is my favorite part of the day. 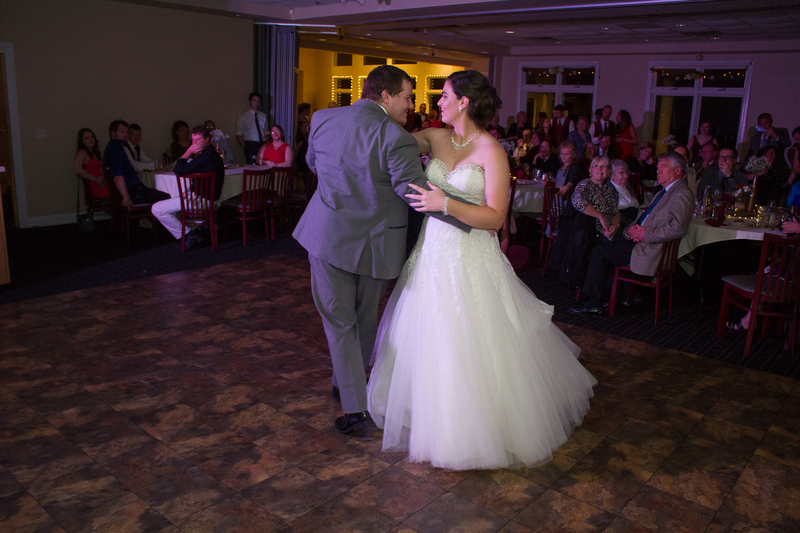 However, the ceremony that Lauren and Aaron had was truly beautiful. The pastor really engaged everyone with his sermon and I really enjoyed that. I also really enjoyed the speeches. There was no shortage of stories about Lauren and Aaron that night and that is something I always enjoy hearing. Congratulations Lauren and Aaron. Enjoy your photos! Ooooh! Gorgeous!!! I CANT WAIT for more pictures!! So hard for a mom to wait! Beautiful pictures!!! You are going to have a really hard time picking!! Again, just can’t say enough about how beautiful the day was! Good news is that they don’t have to pick anything…they get all of the pictures!! Thanks for inviting me! I had a good time. So pretty!!! 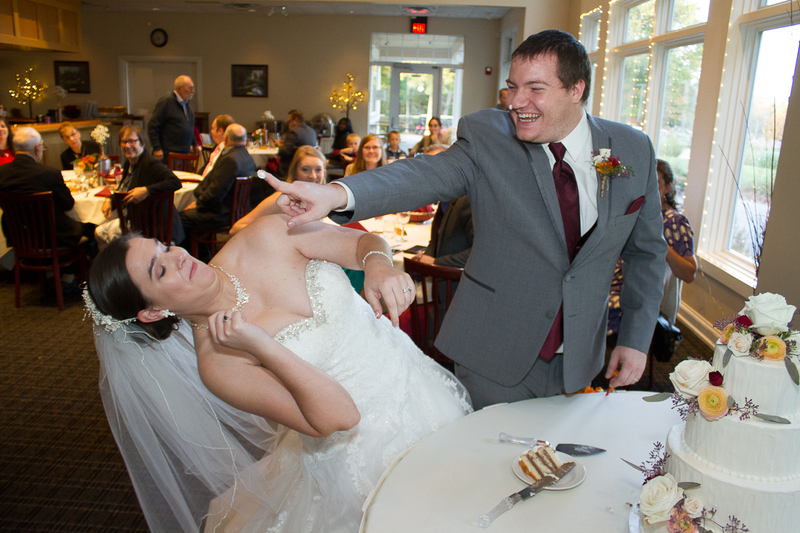 Love the picture of Aaron trying to get cake on Lauren! Love all of these! Fantastic pictures, good even lighting throughout. So glad i could be there with y’all to celebrate your big day. So awesome! Can’t wait to see the ones I’m in too! 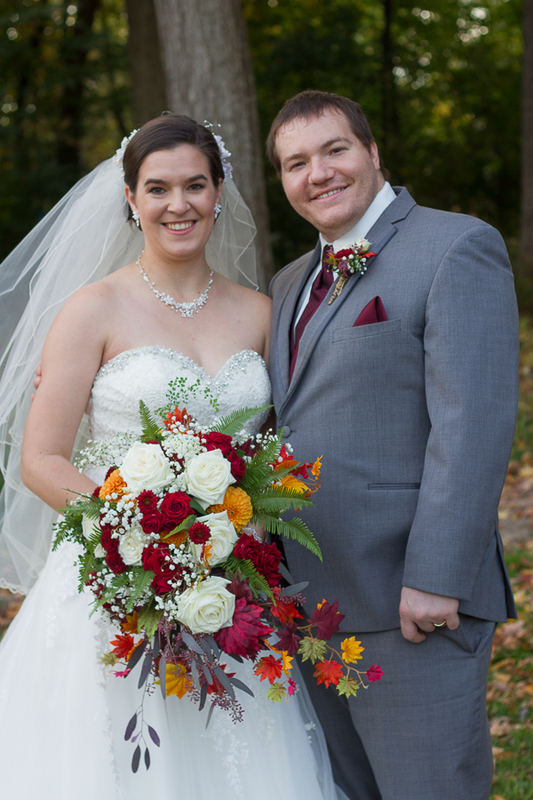 It was such a beautiful wedding! So glad u was avle to be a apart of your special day! Can’t wait to look at all of the pictures! 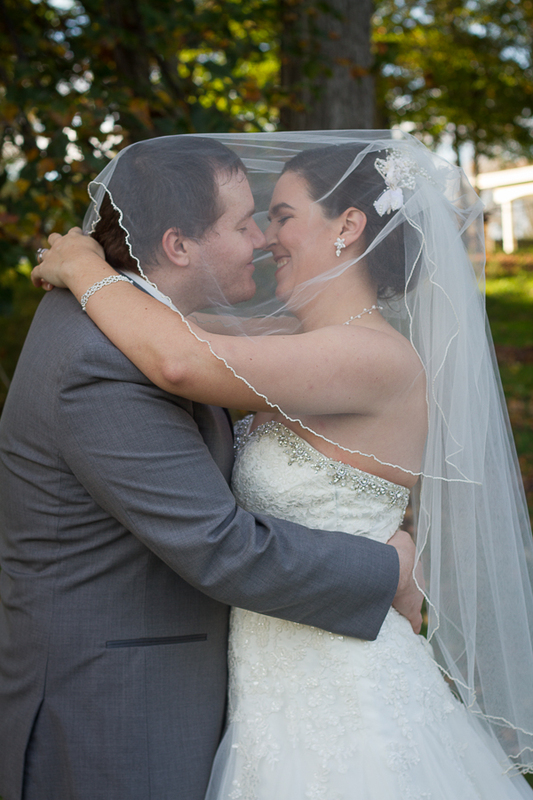 Beautiful pictures of an awsome couple on an awesome day!!!! Can’t wait to see the rest of the pictures!!!! Looking forward to seeing all the pictures! Awesome pictures. You all look beautiful. Congratulations to you both. Thank you for taking extra time with all the family pictures. They all look great so far. You were a pleasure to work with. Absolutely beautiful! Congratulations to both of you! Love having a new brother now! Gorgeous day! And perfect wedding. I love the silly ones!! Great Pictures! Lots of fun and lots of wonderful people! Especially nice to see pictures of the things I missed. Thank you!